Nihiwatu is a luxury resort 400 km from Bali, recently awarded the No. 1 Hotel in the World by Travel + Leisure magazine. Located on Sumba Island in Eastern Indonesia. 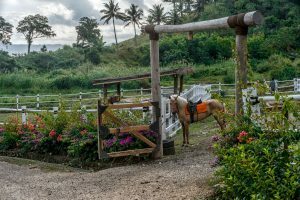 The resort is renowned for the natural beauty of its remote location, providing a stunning environment and world-class facilities for equestrian activities including meditative guidance by the resident horse whisperer. Sandalwood Stables managed by, Carol Sharpe, who works with a team of experienced local guides, offering horse riding lessons and activities at all levels. 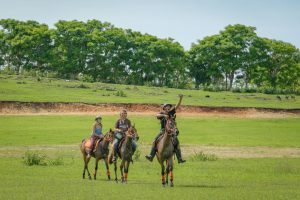 For first time riders or those who wish to brush up on their riding skills, Nihiwatu can arrange a 1-hour Beginner Riding Confidence Lesson under the guidance of a highly experienced instructor to boost confidence and ability. 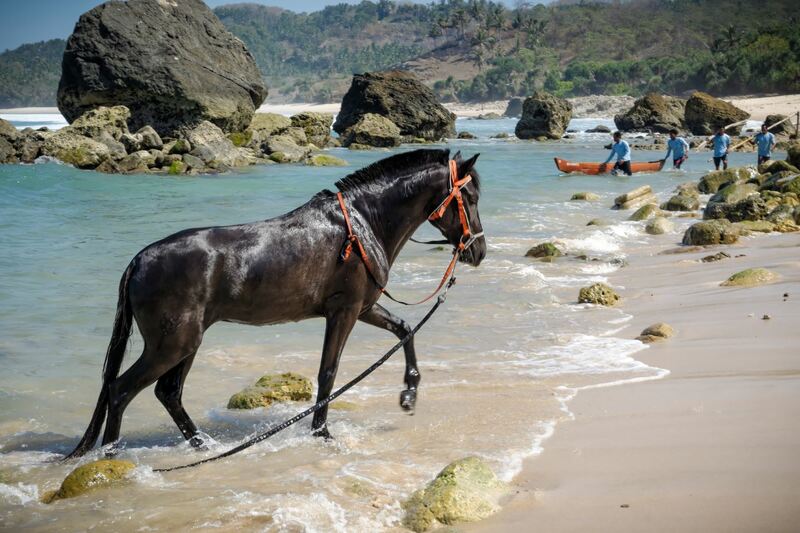 For enjoying the picturesque scenery, the Sumba Sunset Beach Ride led by one of the local Sumbanese horsemen or a Bush to Beach Trail from the hill tops to the ocean are perfect for the occasion. 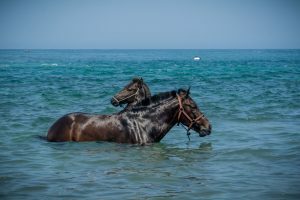 For a deeper connective experience with the inner self, guests can experience the Equine Inspired Alignment or Horse Whispering with Carol, who has over 30 years of experience with horses and 10 years of personal development mentoring. The private lessons will enhance the relationship with a horse into personal and professional lives and helps to regain enthusiasm, purpose and passion. The Kids Pony Club is perfect for children to learn the daily stable routine of grooming, cleaning and feeding. “Learning through fun” at Pony Club and interactive pony play games teaches children equine communication and handling skills. This programme is recommended to children from the age of 5 to 14 years old. Nihiwatu extends a starting rate of USD1,000 ++ per room per night until 31th March 2017, including full board accommodation, Wi-Fi internet, mini-bar, laundry, daily excursions and activities on land, non-motorized sea activities, scheduled group yoga & meditation classes at the Yoga Pavilion. Rates are based on a minimum 3-night stay in an entry-level villa during Shoulder season. Garuda Indonesia currently operates a daily flight from Bali’s Ngurah Rai International Airport to Sumba Island (50 minutes).